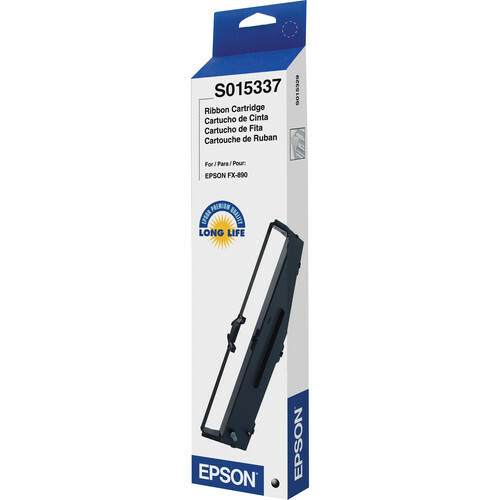 Produce another 5 million characters at 48 dots/character with your LQ-590 impact printer by picking up a spare or replacement S015337 Black Fabric Ribbon Cartridge from Epson. It also has lubricating agents that will extend the life of the print head. 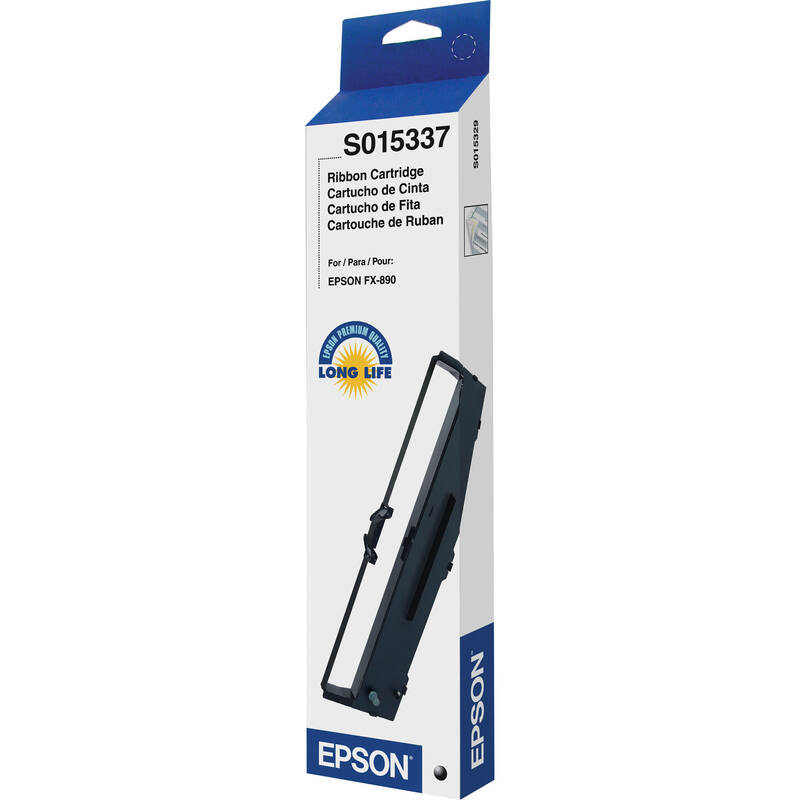 Box Dimensions (LxWxH) 13.45 x 3.45 x 1.2"
S015337 Black Fabric Ribbon Cartridge is rated 5.0 out of 5 by 1. Rated 5 out of 5 by label printer from Name brand quality I have found through over 25 years of being circulation manager for a newspaper that it pays in the long run to use name brand products. The quality seems better, these ribbons don't shred as off brand ones have for me, and the ribbon has a good ink life.